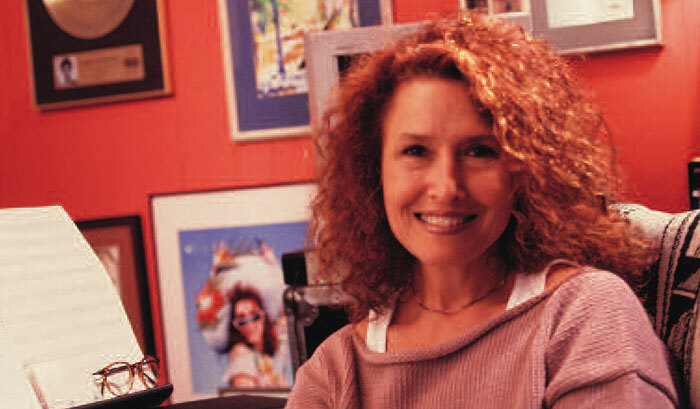 From her GRAMMY-winning records of the '70s and '80s through her more recent work in television, film and musical theater, Melissa Manchester has remained one of our most admired singer/songwriters. Her latest credits include the score for Disney's Lady and the Tramp 2 and a performance at the Million Mom March in Washington, D.C. She is currently writing material for a new album, due next year. Have your songwriting methods changed over the years? Yes and no. I still write my music out longhand in standard notation. I like the meditative aspect of that process-the way it makes you slow down and study what you're writing. I know you can do that in various computer programs, but I like pencils and an empty page in my lap. Unlike a lot of songwriters today, I never turn on a groove to write a song. Then why do you use a Yamaha PSR8000 keyboard? Because now, after a melody has gelled, I can turn on the machine and get fast minidemos that give me clues as to which settings best evoke the inner life of the lyrics. I'm one of the lowest tech people you will ever have the pleasure to meet, but I love using the keyboard as a sketchpad. I put my simple little arrangement in, develop it and then pass it on to an arranger to use as a general point of departure. Have the keyboard's arranging tools ever surprised you by taking a song in a direction it might not otherwise have gone? Yes. I just demoed a song I'd written about Alice Toklas and Gertrude Stein. When I first wrote it, I thought it would be very swirling and large and romantic. But when I put it on the Yamaha, I found that the song actually wanted to be much more intimate. Once it took on that intimacy, I found I was right there in the world of my characters and I was able to complete the entire song very quickly. That was very, very cool. What should we expect from your new record? My goal is to, at last, become authentic. [Laughs.] When you're in this business a long time, you sometimes take circuitous paths. You can feel you're losing yourself. Now I feel like I'm back on track. Right now, I'm trying to conceptualize the sound of my record. I think it will be quiet. I want to get quieter while the rest of the world gets louder.